You may be stressed and slammed and busy and overworked and overcommitted and up to your eyeballs in obligations. You want to learn more about time management. You think perhaps a new system might help – or perhaps reading more about how to optimize some routine tasks you perform. But the problem is you don’t have time to do the reading! You can’t find the time to learn about the new techniques. You can’t find the time to get going with the systems. This is just part of reality – for many spheres of life. A small business owner will expand his capacity if he hires people, but the hiring and training process takes a lot of time on the front end. Getting an education is an investment of time before it starts paying off. When we integrate a new system, whether it’s for our personal productivity or some enterprise-level business application, we’ll find that it’s a painful and slow process at first. But it eventually yields benefit. It feels weird when you start to learn the correct golf stroke or typing technique. You get a little worse before you start to see improvement. Stephen Covey uses the classic analogy from Aesop’s Fables: the goose that lays the golden eggs. You want to maximize the amount of golden eggs you can harvest, but pursuing the golden eggs at all costs eventually will kill the goose. This is the essence of what Covey labels as the P/PC Balance – or the balance between production and production capacity. Sometimes we must reduce our production to maintain or increase our production capacity. 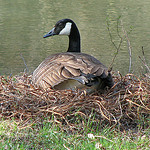 In other words, we take fewer eggs in order to make sure the goose is healthy. Most people, of course, think about resting to avoid burnout. That’s certainly important, but this principle goes even further. We could continue our education in order to make ourselves more effective at work. We stop the woodworking and take the time to sharpen our saws. So make sure you view this process in the right way. This isn’t a mere necessary evil. Working on your production capacity isn’t a distraction that you must tolerate. It’s a great opportunity to get better. Investing the time necessary to make yourself more productive is something that should excite us. What Is Christian Time Management?